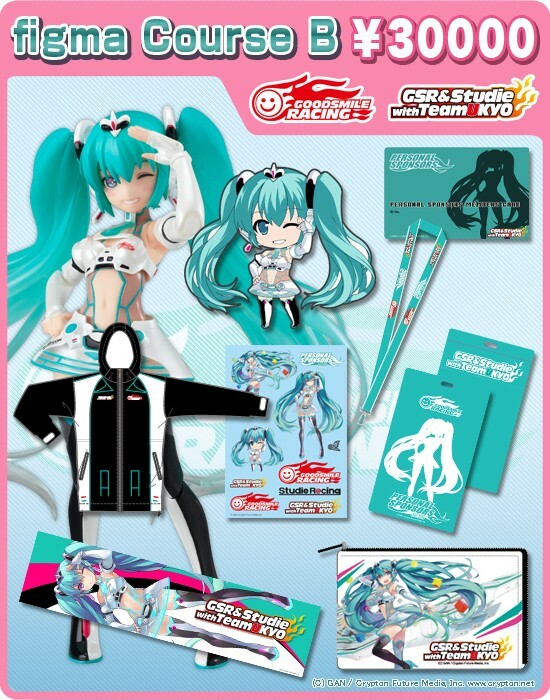 The recruitment period for 2012 Personal Sponsorship that includes a Racing Miku 2012 Ver. figma has started! A faithful reproduction of the original illustration by GAN, she comes with checkered flag, champagne, and a race queen parasol. Not only that, but an Original Large-sized Sticker, Racing Miku 2012 Rubber Strap, Racing Miku Multi-Case, Racing Miku Mirofleece Towel, and a windbreaker that looks just like the one worn by the team are also included!